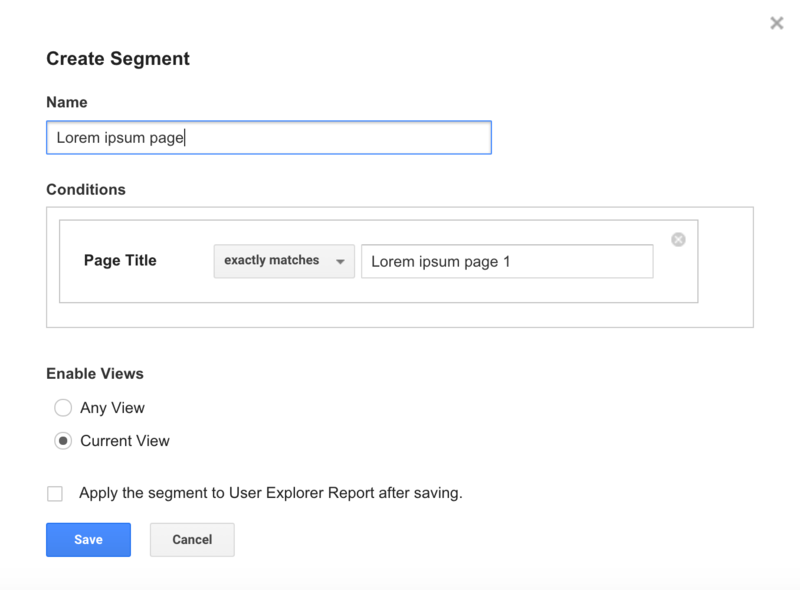 I ran across a tweet today about a new user explorer report exposed in Google Analytics, and was lucky enough to see it exposed in one of my accounts. So far this report is in beta mode and not available to everyone (free and Premium), so I’m sure it’s being slowly rolled out. Note: This feature pertains to the Client ID, not the User ID. If you’re trying to track users across multiple devices, then you’ll want to look into implementing the User ID. At first glance, it was pretty exciting because it looks like GA was finally exposing the client ID, which was not previously available within the user interface. Pretty cool, right? No longer do we need to pass in the client ID as a custom dimension. Well, that’s not totally true. It appears the client ID is still not currently available as a dimension in custom reports. That’s ok though. Simo Ahava wrote a good post how to pass the client ID into GA as a custom dimension. Now for the better part of the report that previously took more manual work to achieve. Clicking on one of the client IDs will reveal a report as shown below. On the left side, you’ll see the client id, acquisition date, channel and device category. 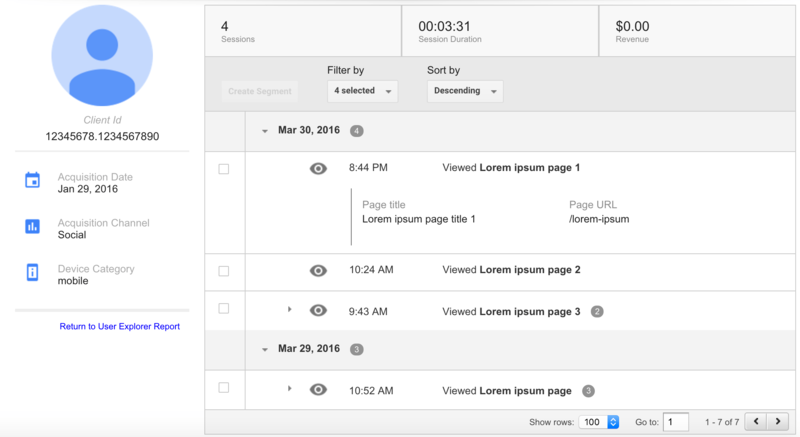 You can filter the hits by pageview, goal, ecommerce and event. That’s such a nice feature for those looking to drill down to a user level and see the precise interactions he/she took to towards a desired outcome. Here is an example screenshot so you can see how those different types of hits are stitched together in the user interface. Lastly, you can easily create a segment by selecting 1 or more of the actions within this report. That’s really convenient for going from a micro to a macro view. Overall, this is a long awaited report for GA in my opinion. This feature should save you some serious time if you were previously doing it using another method. I’d be interested to hear what your thoughts are on this and how it could be improved over time.